CLEVELAND, OH--(Marketwired - February 05, 2016) - ActiveYards® Cambium® technology is designed so consumers can enjoy nature, uninterrupted. Inspired from the beauty found in trees, this unique innovation was developed to give ActiveYards vinyl fences the look of real wood without the need for the continued upkeep with maintaining traditional wood fencing. Just as cambium cells in a tree keep it healthy year after year, the ActiveYards Cambium technology stays strong and beautiful. Unlike real wood, the vinyl construction will never fade, warp, crack, or mildew. Every Cambium fence comes standard with SolarGuard® technology to keep the wood appearance rich for years, giving a backyard sanctuary the look of a beautiful nature setting. ActiveYards SolarGuard technology is infused as the fence is created for a lasting, like-new finish. Where standard fencing fades or discolors as a result of sun exposure, homeowners can be assured that ActiveYards fencing will retain its original color beautifully for years, guaranteed with a transferable limited lifetime warranty. 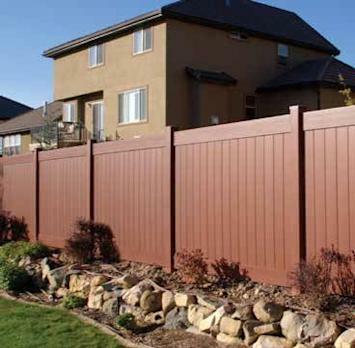 Cambium fence options include available colors redwood and birchwood, panel sized 6'x8', with GlideLock® locking boards -- ensuring that each board locks tightly into place with no gaps. ActiveYards also carries a large assortment of Boerboel® Gate Solutions hardware designed to complement and enhance the look of a vinyl fence gate. To learn more about ActiveYards Cambium technology, visit them on the web at http://activeyards.com. ActiveYards® is a proud brand of its parent company, Barrette Outdoor Living (BOL). Barrette Outdoor Living is the North American leader in consumer fence manufacturing. Barrette currently produces and markets exterior home products under a variety of leading brand names through specialty retailers, home centers and lumberyards. BOL is an independent subsidiary of Barrette. BOL currently employs 1,550 people and the Barrette parent company employs 3,000. BOL has a head office in Cleveland, OH with the parent company headquartered in Saint-Jean-sur-Richelieu, Quebec, Canada. The company is privately owned and operated by the third generation of the Barrette family.